Neutral tones and minimal furniture evokes the simplicity and functionality of Scandinavian design. 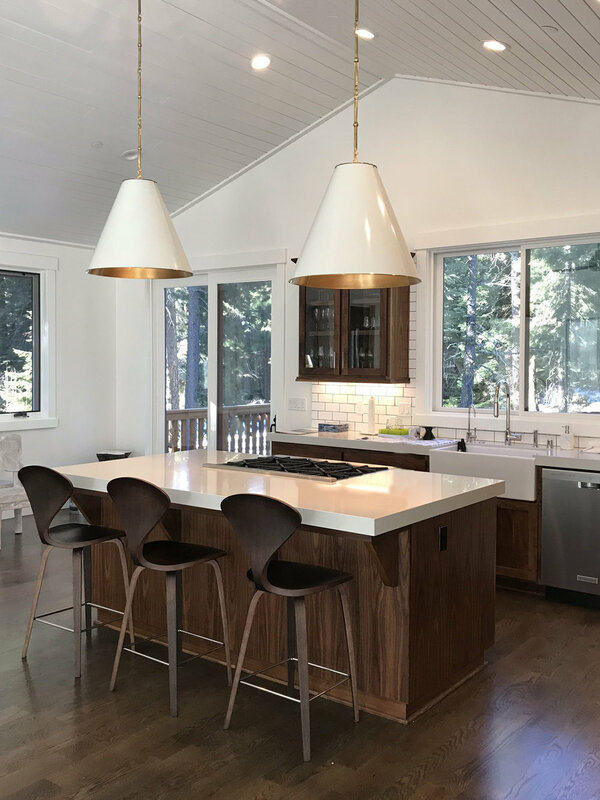 Mid-century stools and a dark wood island are grounded by matching hardwood floors which are contrasted by bright white walls, countertops, and pendants. 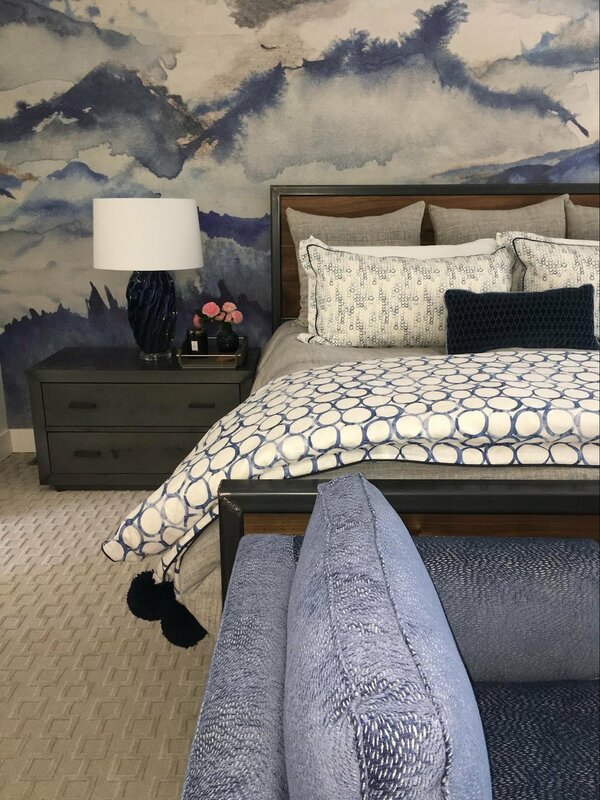 Playful wallpaper centers the master bedroom as patterned linens of varying blues create a visual contrast. 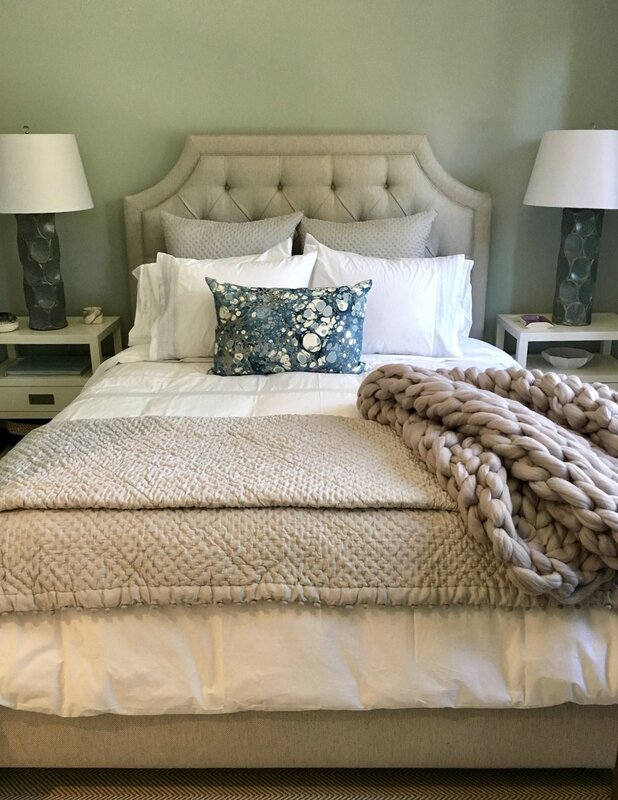 Earthy tones inside the guest bedroom reflect the lush surroundings outdoors. A playful color of green is used for the kids’ bedroom which is accented with complimentary blue throw pillows.